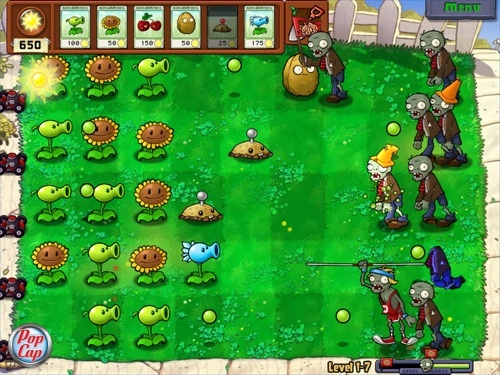 Plants vs. Zombies is a super fun Tower Defense style game made by PopCap. A mob of fun-loving zombies is about to invade your home, and your only defense is an arsenal of 49 zombie-zapping plants. Use peashooters, wall-nuts, cherry bombs and more to mulchify 26 types of zombies before they can reach your front door.